Towing electrics conversion lead. Connect a caravan with newer style 13 pin electrics to a car with older style 7 pin twin electrics with seperate black and grey sockets. Fits directly to Butane bottles with 21mm clip-on attachement and adapts to fit M20 hose assembly to connect to bulkhead mounted 2004 caravan regulator. Adapter to securely connect 28.5mm convoluted hose to 28mm rigid pipe in caravan waste water systems. 90° angle push fit connection for 28mm rigid pipe caravan waste water systems. 3 way Y piece push fit connection for 28mm rigid pipe caravan waste water systems. Bulkhead mounted Euro Caravan Gas Regulator to fit to caravans and motorhomes with 10mm gas pipe system. Comforms to Europena standard EN1949 and EN12864. Bulkhead mounted Euro Caravan Gas Regulator to fit to caravans and motorhomes with 8mm gas pipe system. 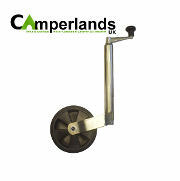 Complete adjustable height wind-up jockey wheel assembly with jumbol wheel, rubber tyre and 48mm diameter stem. 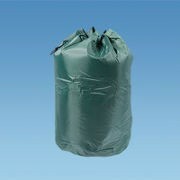 Suitable for larger trailers and caravans.